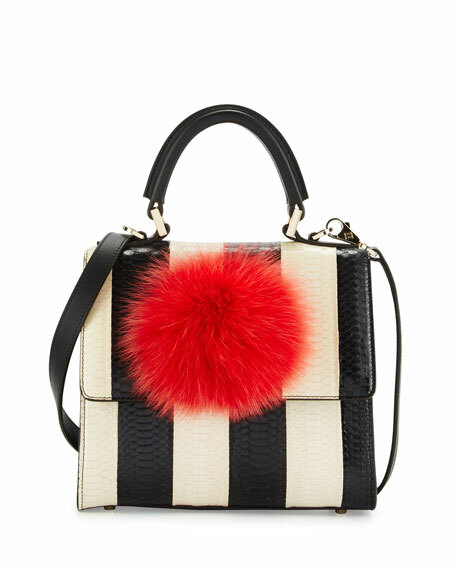 Les Petits Joueurs "Mini Alex Bunny" satchel bag in striped snakeskin and calf leather. 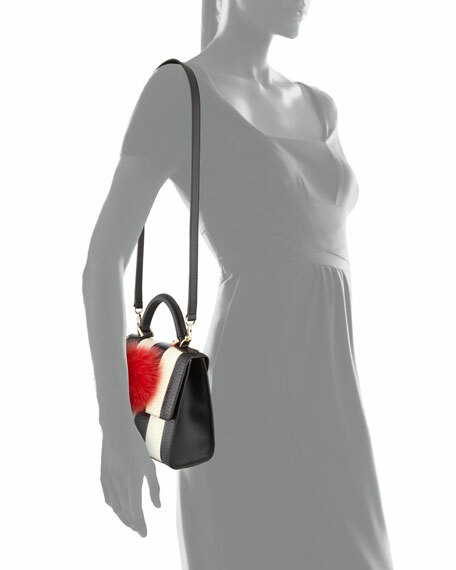 Top handle with rings, 2.5" drop; removable leather shoulder strap, 19" drop. Flap top with dyed fox fur (Finland) pompom. 8.3"H x 7.5"W x 4"D.
For in-store inquiries, use sku #1813509.